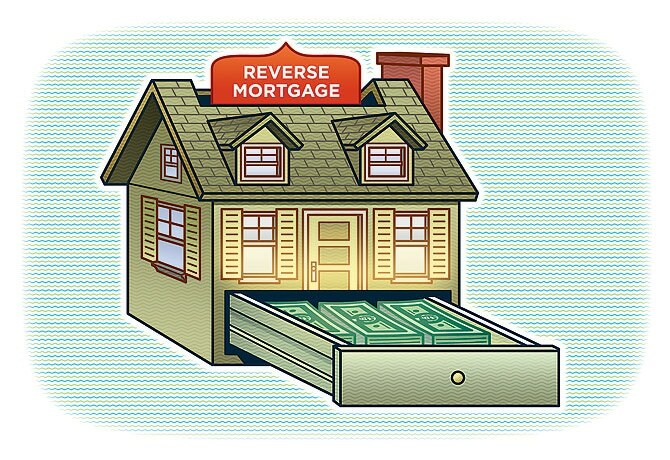 Reverse Mortgages: What Happens to Those Left Behind? Prior blog posts have discussed the legal ramifications of reverse mortgages, which are becoming more common, and, with this, have become the subject of more court actions, including foreclosure cases. Reverse mortgages allow a person to borrow against the equity in their home, and are limited to those homeowners older than age 62. The sums borrowed against a person’s primary residence are usually not legally required to be repaid until after the borrower’s death. Of course, no one lives forever, and, eventually, all things must pass. At that point, the legal heirs of the borrower will often receive collection notices from the reverse mortgage lender, demanding repayment of the loan. This post will discuss the legal options available to the heirs when a reverse mortgage has become due as a result of the borrower’s death. The first recommendation is that the heirs retain experienced legal counsel to represent their interests. Counsel should examine the documents underpinning the reverse mortgage, and check to ensure that the borrower actually took out the loan, and understood the ramifications of the transaction. Unscrupulous lenders may take advantage of our senior citizens, some of whom may not be in top shape physically or mentally. If a surviving heir suspects this to be the case, the reverse mortgage may be challenged in Court, depending on the overall circumstances of the transaction. Assuming the transaction is valid, the next step is to evaluate the situation regarding the property in question. Was the deceased borrower the only resident of the property? If so, the heirs may consider selling the property, and using the sums gained to repay the amounts due under the reverse mortgage. This is possible where there is equity in the property, meaning the property is worth more than the amount due under the reverse mortgage. For example, the borrower takes out a reverse mortgage and borrows $200,000.00. Upon her death, her heirs use an online property evaluation service and discover that the property is worth $300,000.00. They then put the property on the market, and, when the property is sold, use the proceeds to repay the reverse mortgage, and are able to profit from the transaction. Unfortunately, there may be situations where the property is worth less than the amount borrowed. In that case, the heirs may simply allow the lender to take ownership of the property. Under the terms of a reverse mortgage, there is no liability other than the equity in the property, so that once the property is transferred to the lender, there is no further liability for the Estate. Nor are the heirs legally responsible for any shortfall. This may be a viable option when the property has diminished in value over time. Another possibility is where the heirs may have resided in the property with the now deceased borrower, perhaps as adult children. For example, a borrower passes away at age 85, and her adult son, age 55, lives in the property. The adult son may wish to remain living at the property. What can he do? If he has good credit, he can, with the assistance of counsel work out a settlement with the reverse mortgage lender. One common arrangement is to pay the reverse mortgage borrower 95% of the value of the house, or the amount borrowed, whichever is lower. The surviving adult son can take out an ordinary mortgage through a bank or other institutional lender. The funds from that mortgage are used to pay the reverse mortgage holder, and that loan is deemed satisfied. The heir now has his own conventional loan, and makes payments as would any homeowner. Once the heir reaches the age of 62, he may even decide to take out a reverse mortgage on his own. We recommend to anyone who may be the heir of a decedent who took out a reverse mortgage to contact our firm to discuss their legal rights regarding the property in question.